These days, after seeing some of the old games offered at the steam sale, I got a bit nostalgic and decided to dig around my old games and replay a couple of my very favorite adventures. 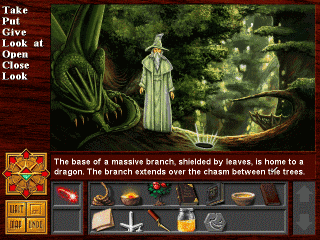 First up is Death Gate, a 1994 fantasy adventure game by Legend Entertainment loosely based on a book series called The Death Gate Cycle. 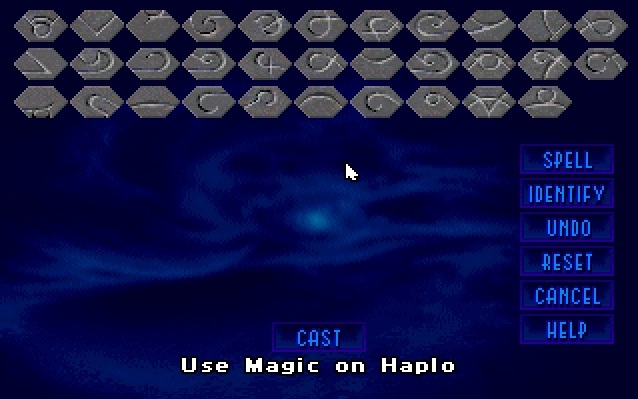 In order to run such an old game on Windows 7, I of course used DOSBox and everything worked like a charm. In Death Gate two races of magicians, the Sartans and the Patryns, battled for supremacy and rule over the inferior races (humans, elves and dwarfs). The Sartans, sensing that they were losing the battle, devised a plan to gain the upper hand: using magic, they sundered the world into 5 smaller worlds, four based on the elements (air, fire, earth and water) and a fifth one called The Labyrinth in which they trapped all the Patryans. You play the role of Haplo, a Patryan that has just escaped the Labyrinth, two millennia after the sundering. With the guidance of a powerful Patryan, Lord Xar, you set out to the other worlds to gather information and avenge your race. Death Gate is probably the most dialog heavy game I have ever played, but the story is so good that it completely absorbs you. The voice acting of the cd version and the music are also very nice which adds to the enjoyment of the story. 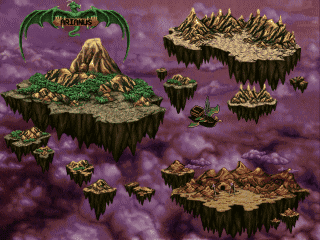 The graphics of the game are beautiful, although they are mostly static images with subtle animations and a few 3D cut-scenes. The interface is simple but effective. Your inventory is at the bottom of the screen and at it's left are the use magic button and other people in your party. On the left side of the screen are some key action words and some that change depending on what you are doing and below that is a compass which you can use to move around. 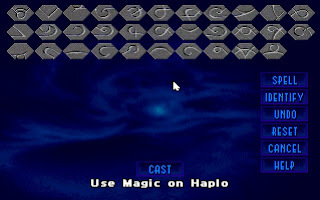 Magic plays a very important role in the game and is used in a unique way. You cast spells by tracing your finger in the air to create line designs. In order to construct a spell you use various runes that you combine together. As you progress you will learn more runes and more spells. This system provides the basis for some very interesting puzzles in the game. 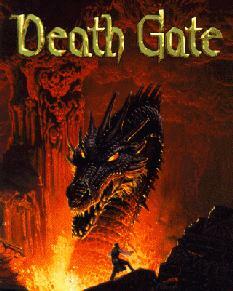 Death Gate is available for download at Abandonia (sadly not the CD version with the voice acting). If you like adventure games do yourself a favor and give Death Gate a try. I promise you, you will be rewarded. Right here is the right website for anyone who wishes to find out about this topic. You realize so much its almost tough to argue with you (not that I personally will need to…HaHa). You certainly put a brand new spin on a subject which has been written about for decades. Excellent stuff, just wonderful, see it here! If we talk about modern games, I can agree with the statement that they have incredible graphics, interesting physics and similar things. But personally I lack the uniqueness that was in retro games. I prefer to use roms http://romsmania.com/ and enjoy the games of my childhood.